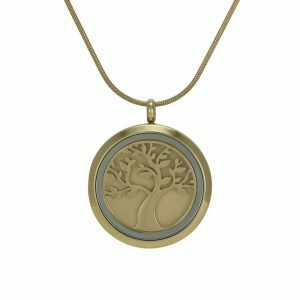 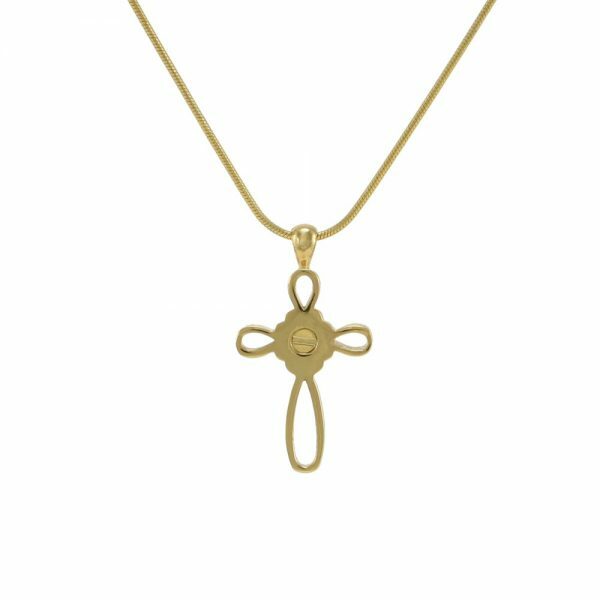 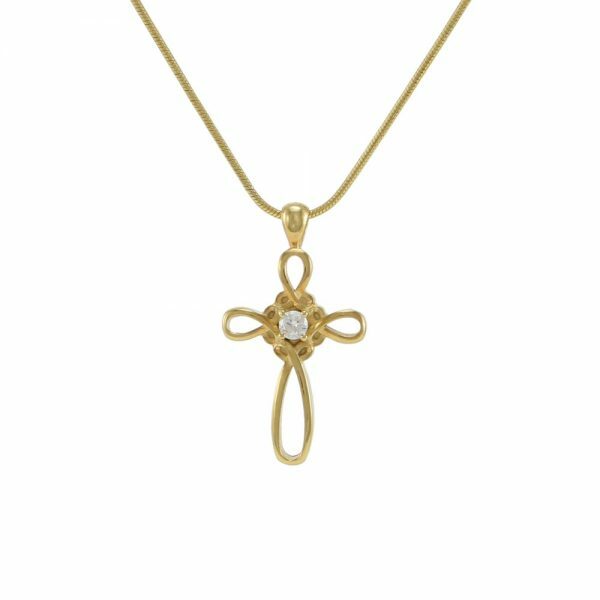 Infinity Cross Pendant – Butterworth Urn Co. 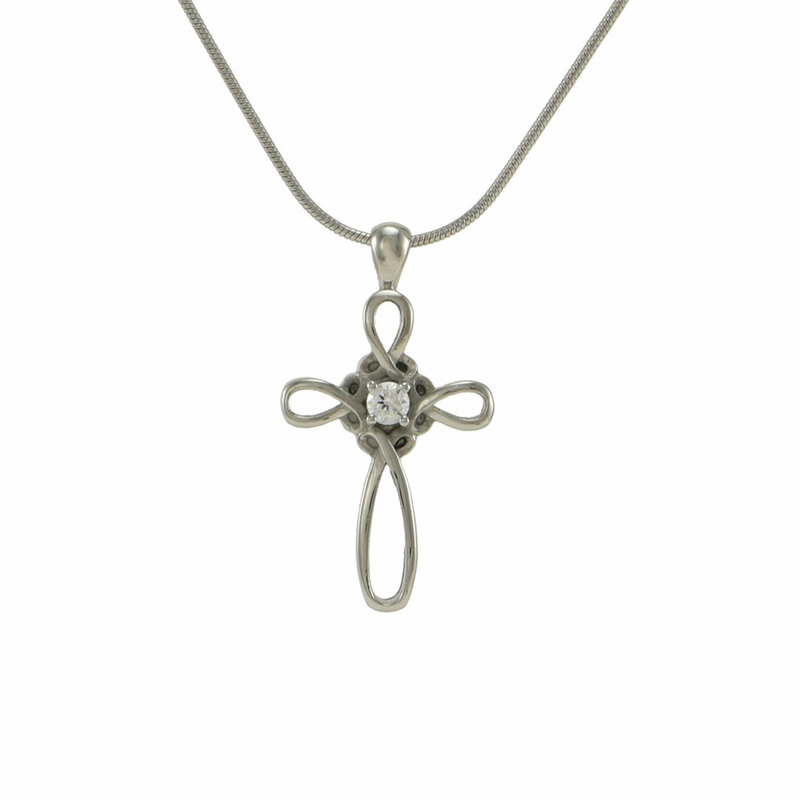 The Cross features a cubic zirconia on the front and has one threaded cremated remains compartment located on the back. 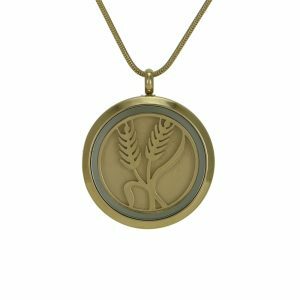 The pendants are made of 316 stainless steel and are available in 14K gold plated or stainless finish. All pendants come with a matching 19″ chain.